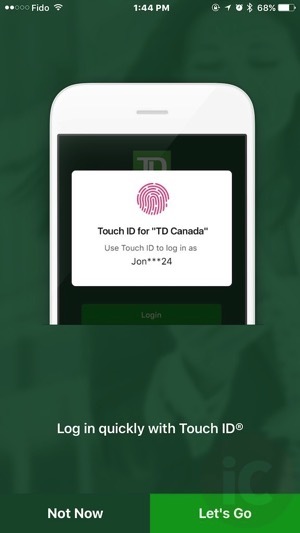 This is not a joke: TD Canada has finally updated their iOS app to support Touch ID for logging in. This afternoon’s update brings support for the iPhone’s fingerprint reader and also includes “minor bug fixes”. 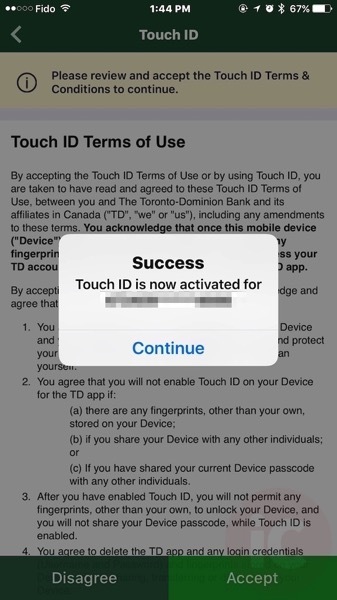 Once you tap accept, you will need re-enter your login password one last time, then you’ll get a confirmation message “Touch ID is now activated” for your account. 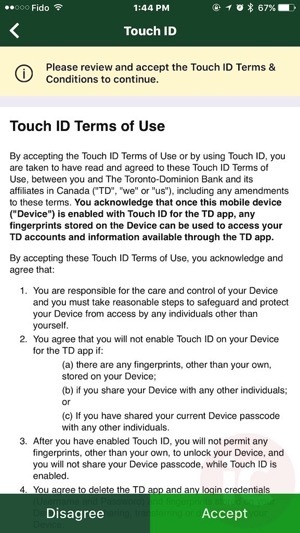 TD Canada was the last big bank in Canada to support Touch ID—finally, it’s here.